This entry was posted in Reviews, Streetcars. Bookmark the permalink. In 2013 I rode the Milano Witts. They had about 200 running in base service out of 1 car house. They had PAs and turn signals but no heating, except for the motorman. A lot had been freshly outshopped for a major fair the following year. The looked, rode and sounded like our witts. In Milan there are actually four carhouses in use by Witts (Leoncavello in the northeast, Lodovica in the south-central, Messina in the northwest and Baggio in the southwest, although the latter may now be just for storage. Perhaps 125 Witts are left, a few still in orange paint, mainly stored. The fleet provides service on five lines, all cars on four, the 1, 5, 10 and 33 and until about a year ago the 19 and 23 as well. The latter two have now been combined as a single route 19, and now every other car is a Witt on the long crosstown service, sharing the route with the 6-axle articulated 4600-4700 class. Low floor cars of various 7000-series operate on several routes and 100 of the high-floor 4900 series on several more (and 50 of these are being thoroughly modernized with a new orange paint scheme with striping). Milan has ordered additional low floor cars, not to replace the Witts but instead the 4600-4700 series of cars from the early 1950s and others to replace the equipment on the two surviving interurban routes north of the city. The Witts are easy to maintain, make good speed and will carry on for at least another 10 years and perhaps longer. 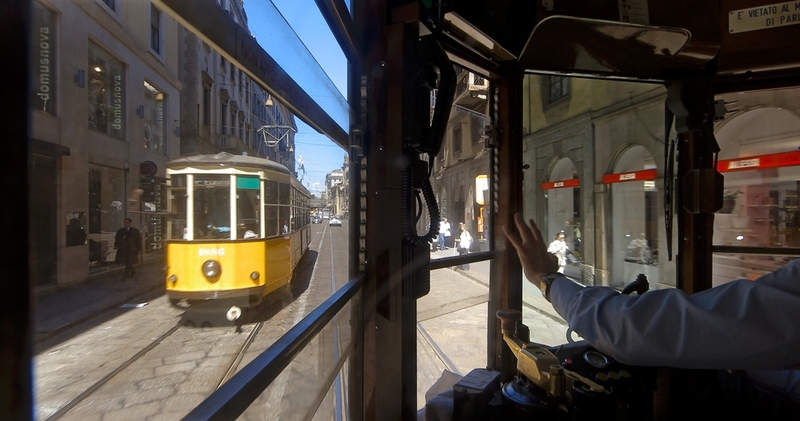 Milan is known for the Witts in the same way that San Francisco is famous for cable cars. Unfortunately, we still have politicians who believe in the “future of the automobile”, based on a film produced by GM [in 1939]. I met the director and sent him the report I did for the TTC as part of the St. Clair project. I’ve written and worked on many documentaries and one major Hollywood film. I would say this director simply took short cuts, such as not reading the available documentation provided to him. Too bad. There are so many people who believe in their heart of hearts that cities in North America today would be streetcar paradises were it not for the evil General Motors and their henchmen, Standard Oil and Firestone Tire and Rubber. No understanding of how (in the US) street railway passenger-miles and revenue peaked in the early 1920s (which is why, in 1929, the presidents of those roads formed a committee to come up with a new car design to compete) or how most surviving lines barely made it through the Depression into WW2. Or how those that did make it that far were worn out from war-time traffic and needed complete overhaul from ballast to span wire and were grateful when GM showed up with brand new rolling stock that needed NO electric distribution system and NO tracks and, oh-by-the-way, could be had on easy financing terms. Canada’s industry peaked later and lasted longer, or so it seems. Montreal’s lines were in pretty good shape for WW2 having re-equipped in the late 20s when US roads were struggling (in fact, they bought trainloads of used cars from the US at the beginning of the war because they could and because they were drowning in passengers) and didn’t get put under public ownership until ’51. I know less about Toronto’s lines. They were put into public ownership much earlier? They managed to keep streetcars despite not having any rapid-transit lines — Boston, Philly, and SF with subways and tunnels, Cleveland with separate rights of way, and even New Orleans with their Neutral Ground running on several lines — How’d they do that? And where did the producers of this film do their research, exactly? None of this is a secret! Steve: Toronto did not have a subway until 1954, and then it was quite short. The streetcar system was large and under public ownership since 1921. Replacing it all with subways wasn’t going to happen, and the TTC bought up used PCCs from US cities to replace their older cars. By 1966 when the east-west subway opened, the TTC was set on a path of gradually replacing streetcars pending the opening of another line by 1980 (it has still not been built), but they were simultaneously looking at suburban LRT expansion. That didn’t happen thanks to the provincial fantasy of high tech transit as the “missing link” between buses and subways. Toronto has been lucky on two counts. First, we were several decades behind major US cities in the evolution of our urban and suburban areas, and second there was a strong history of public ownership. How nice it will be the return to Los Angeles after an absence of 27 years to see all those new LRT lines, some of which are on Pacific Electric routes that remained mothballed or still handling Southern Pacific freight traffic in my time down there, which was 1975 to 1990. I have fond memories of an SP switcher rattling the windows of the M-G-M Music Department a couple of times weekly as it trundled lumber through Culver Junction and along the Culver Boulevard private right-of-way to a customer on Sawtelle Boulevard. Next time King Dougie gets on his anti-LRT high horse, someone should cart him off to Los Angeles to see what that technology has done for that former transit desert. A few drinks or a spliff should get him into a mood for travel. LAX, anyone? 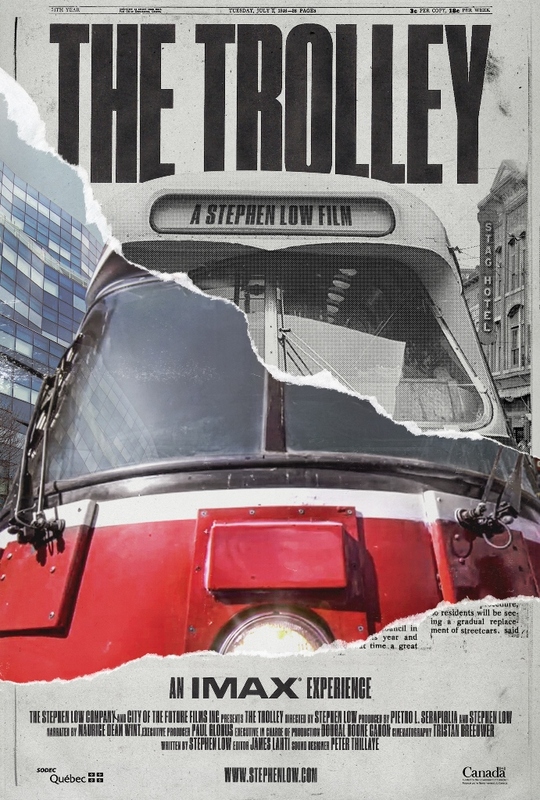 I haven’t seen the documentary yet, but the focus on streetcars in Toronto is probably for the best because there’s a lot of baggage surrounding the adoption of streetcars and light rail south of the border. Unlike in Canada, where streetcars are primarily built as a practical means of transportation, streetcars in the US are primarily built to encourage real estate development. There’s also been some whispered grumbling that the US uses it as a way to cut funding for buses that are used by the poor and minority communities and transfer the funding to infrastructure used by richer, majority communities. For example, the LA LRT system has been partially funded by reducing bus service, so the total ridership of the LA transit system has actually been going down as a result. I found that Portland’s LRT is only good in downtown and actually provides pretty poor, infrequent service in the suburbs, and there’s been grumblings about exactly which communities Portland actually serves with its transit service. The route of the Cincinnati streetcar is designed to avoid causing problems for car traffic, resulting in a less than ideal route. Ditto for the San Jose streetcar. Buffalo is too auto-centric and lacks enough density for their LRT to be useful. The Detroit streetcar is too short and too infrequent to provide a useful transportation option but was built solely as a centrepiece to encourage more development. The Atlanta streetcar is unique in that it was built to right a historical wrong against an African-American neighbourhood, but it’s too short and too infrequent to actually serve as a useful means of public transit. The route of the new Milwaukee street car has so many strange turns and branches in it that I don’t even understand how anyone is supposed to know where they’re going. I’m sure there are many more examples than this. I think the real streetcar renaissance in North America is primarily about Toronto for using street-level streetcars in downtown, then Alberta as an example of medium-sized cities successfully using them, then maybe a look into the future with Ontario. Maybe Texas could also be referenced as an example of auto-centric cities that have built them, but I’m less familiar with their systems and whether they’re actually used by anyone or not. Steve: While there are certainly some “vanity” projects that have given streetcars/LRT a bad name, I can think of a few transit projects close to home that fit in the same category. It’s ironic that “The Trolley” shows cars running on a private right-of-way through the woods at Rockwood, but shows less right-of-way operation either on streets or cross-country, the sort of thing we could have had in Scarborough. Steve: It is not a question of whether the vehicle is a “streetcar” or not, but how the vehicle is used. If the SRT had been built as LRT as originally planned, it would have operated with cars we would recognize as today’s streetcars, but on a totally separate right-of-way at the same (or better) speed than the RT cars. The “lie” lies in subway advocates who seek to portray LRT as no better than streetcars. Thank you for citing the Streetcar Renaissance report. 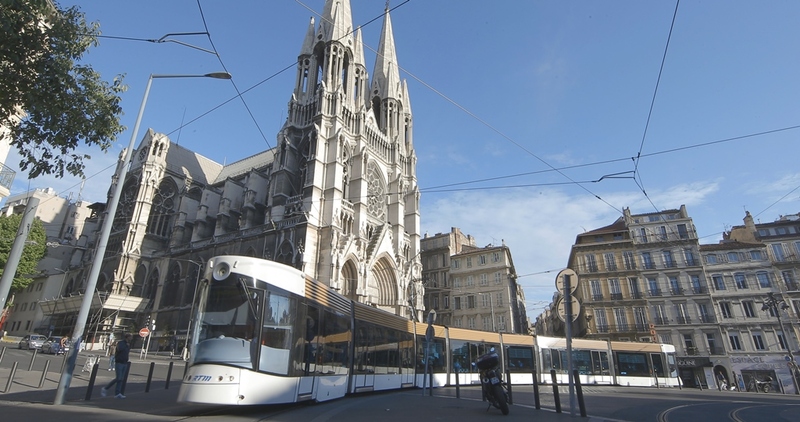 WRT LRT vs. streetcars and yes the Europeans call them both trams, I think it confuses things to mix them up. Nothing wrong with transit sparking real estate development. That’s what mobility technologies do. Anyway, I’ve written about streetcars as “intra-district” transit, which is perhaps more relevant outside of Toronto. If we would think this way in the US, it would help deal with the opposition. After watching the IMAX screening yesterday at Ontario Place, I entirely agree with your review. Although beautifully filmed, I think that it does a disservice to transit advocacy in that it is so poorly researched that anyone, especially those against transit, can pick it apart so easily. I did not find it educational in the slightest and hesitate to identify it as a documentary. I found the “Hiroshima narrative” disgusting. It was way beyond a step too far in the application of personification. And, really in the league of just plain weird, effectively lying to the audience that Toronto has an annual celebration of streetcars parade. I imagine that we will see some mighty disappointed trolley tourists in Toronto next Easter! Hopefully they will feel better after receiving free chocolate eggs though. Never ride the subway because it is the trolley’s worst nightmare!